It is the responsibility of the buyer to ensure that the goods purchased are suitable for the purpose intended. Advice sought by the customer from Vividarium may be given but cannot be relied upon. If due to an error the price published for the goods is wrong. We will inform you of the correct price and give you the opportunity to cancel the order. To keep costs to a minimum Vividarium reserve the right to use any courier company to undertake its deliveries. Typically most orders will be dispatched within 24 hours of placing an order, except for weekends and public holidays. Whilst typically most orders should arrive within 2 or 3 days of ordering, we cannot guarantee this and delays can sometimes happen. Vividarium will not accept any liability for any consequential loss caused by damaged or faulty items, delay in dispatch or delays by couriers, and as such we advise that no arrangements should be made for the husbandry of any animal until you are in receipt of your order. Goods must be signed for upon delivery and any damages/shortages reported to us within 24hours of receipt. IMPORTANT: We accept no liability of any damaged or faulty goods after the 24 hour period has elapsed. You shall make suitable arrangements to be at home for the courier arriving. If there is nobody at home the courier shall leave a card with instructions on how to rearrange the delivery. If the courier attempts delivery more than twice then you may be liable for additional re-delivery charges. If you wish to cancel your order you must notify us in writing, or via email, within 7 days of accepting receipt of your order. Notifications after the 7 day period has elapsed may not be honoured. The products being returned must be securely packed to avoid damage to the product AND the retail packaging. The packaging and the product must be returned back to us in “re-sale worthy” condition. We recommend contacting us to discuss a suitable courier. Vividarium does not accept responsibility for any goods returned by a customer, but which are not received, unless proof of delivery to us or receipt by the courier is supplied. 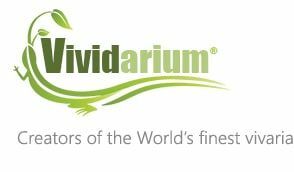 Vividarium will refund, in full, all sums paid by you, less the cost of the return courier costs, unless the item is being returned due to a fault or damage notified to us within 24 hours of receipt, in which case the return courier cost will also be refunded. For presumed damaged or faulty goods, if after examining your product is found to be non-faulty, a charge of £25 will be payable to cover collection and redelivery. Goods are not allowed to be tried or tested. In the very unlikely event that you have any complaints please do not hesitate to contact us. We will always endeavour to rectify any problems quickly and efficiently.